Cover yourself in style with this unisex cover coat. 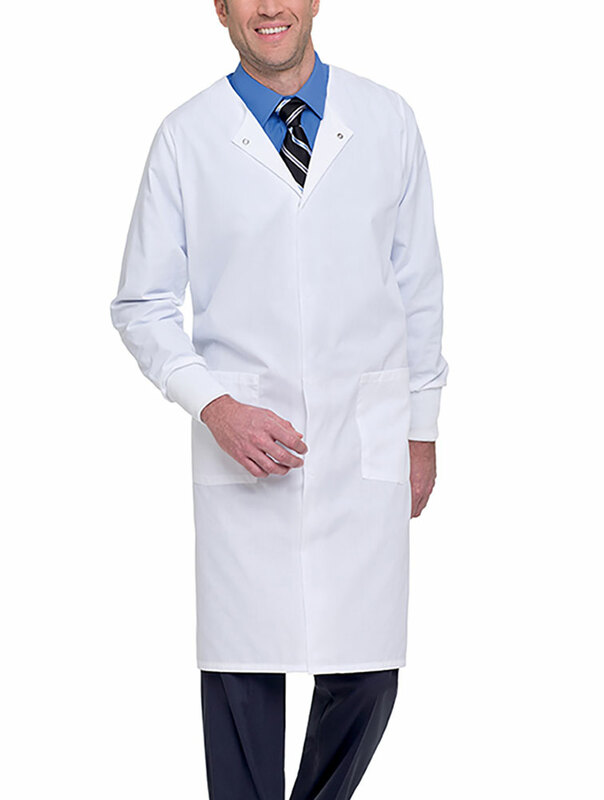 Featuring two patch pockets, rounded neck, stockinette cuffs and five snap closure, this coat covers all bases. 65% Polyester/ 35% Combed Cotton Medium length: 41 3/4".